There is nothing like bright colorful vegetables on a cold dreary winter day to bring a little sunshine in. 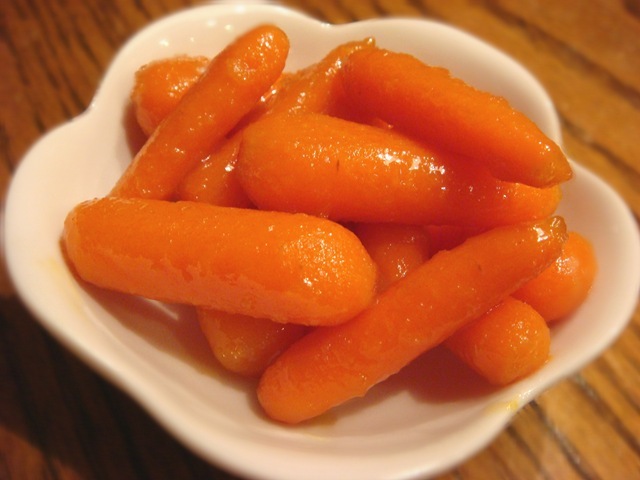 With fresh orange juice and grated ginger, these baby carrots are sure to brighten up even the most miserable day. Roast or steam carrots until tender. Set aside. Melt butter in a saucepan. Add remaining ingredients. Bring to a boil; boil 1 minute. Stir in carrots and cook for 2 minutes. Boy, what a fantastic photo!! It’s as bright and inviting as the recipe title! !